WITH slurry pumps incorrectly applying lubrication can be a major cause of gland seal leakage, which can in turn bring an important asset to a grinding halt. Part of the Accumin range of automatic lubrication systems. 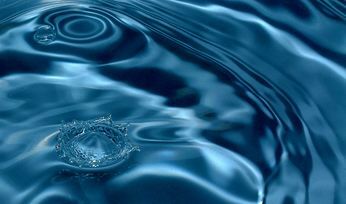 Besides lubrication application issues, other things to watch for are inadequate maintenance and poor quality gland water, or a combination of the three. Inadequate gland maintenance can cause leakage, which can spray slurry or water directly onto the pump's bearing assembly and, if that penetrates the bearings, there is a high risk of failure. 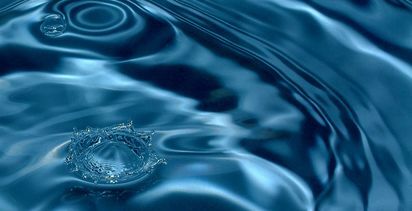 In some instance, incorrect gland seal adjustment can also cause unwanted leakage. Aside from contamination ingress from leaking gland seals, incorrect bearing assembly lubrication volume is something to watch out for. If a pump bearing assembly is over greased, a build-up of excess grease in the bearing assembly cavity can cause grease churning, resulting in elevated bearing temperatures. That leads to rapid grease degradation and subsequent bearing failure. Conversely, if the bearing assembly is under greased the loss of fluid film lubrication will cause premature bearing wear. When that occurs the remaining grease will degrade rapidly due to contamination caused by abrasive wear particles. To help prevent premature bearing assembly failures Weir Minerals has a range of Warman Accumin automatic lubricators. Using these, it says, provides a protective barrier against gland leakage and other sources of external contamination while also regreasing the bearings. 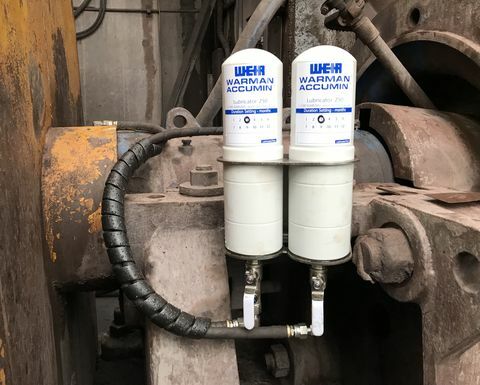 Weir Minerals Accumin product specialist Michael Roinich said the Warman Accumin automatic lubricators were a heavy duty single point lubrication system designed specifically for Warman slurry pumps. "They deliver the required amount of grease in line with our specifications and are fitted as standard on any new pumps," he said. 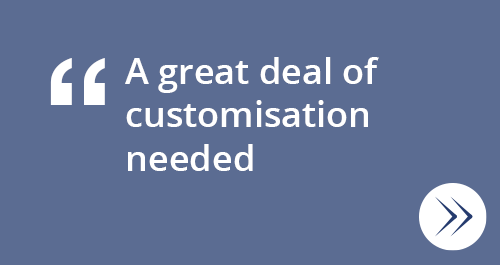 The Accumin range is comprised of two lubricators with easy to adjust dispensing systems. The Accumin 125 lubricator, designed for smaller pumps, is waterproof and gas operated. 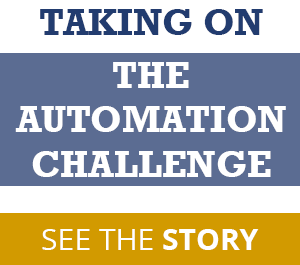 The 250 model, for larger pumps, has a reusable electro-mechanical drive unit embedded with software that can determine fault codes. It also has a liquid crystal display and light emitting diode indicators that immediately confirm the lubrication system's operational status. 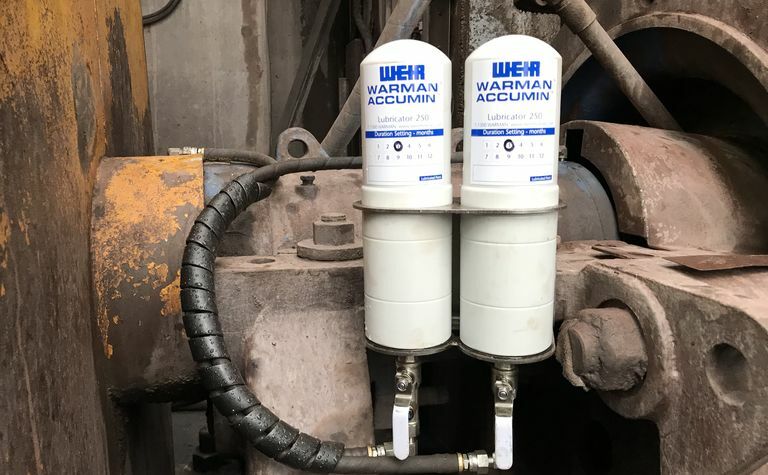 According to Weir, Accumin lubricators are suitable for most grease lubricated rotating equipment, including conveyors, fans, electric motors, valves, filter belts, vacuum pumps, mechanical seals and gearbox seals. They deliver small amounts of grease at regular intervals for a seal purging effect. That allows any contaminated grease to be pushed out before it can further penetrate the bearing assembly. According to Weir, that is preferable to using a manual grease gun to insert a large amount of grease at once, which can result in over greasing. Miners told to be selective about the data they collect. How do you mine on Mars?